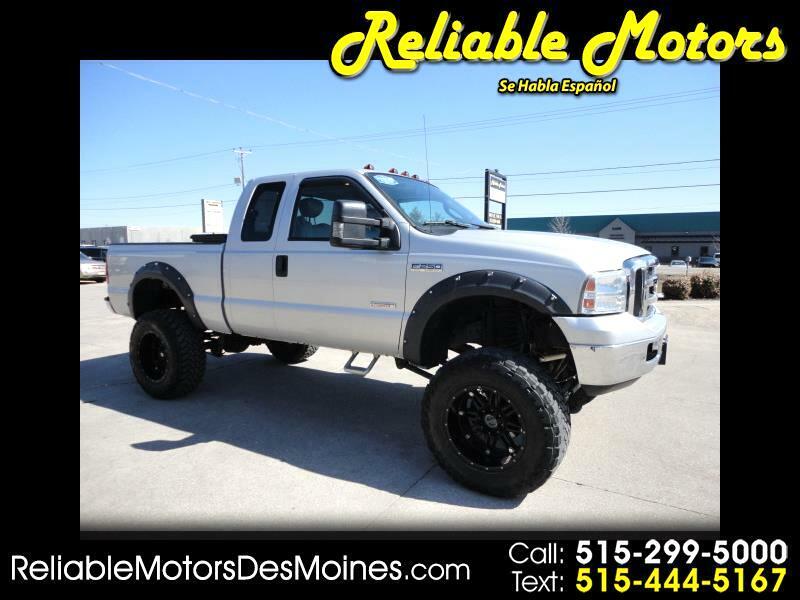 Our 2007 Ford Super Duty F-250 Lariat Super Cab is a work horse ready for you to take to your next project. It features the 6.0L V8 turbocharged diesel with Bully Dog programmer, that powers out 325hp. Mated with a smooth shifting automatic transmission, our 4X4 beauty will live up to its Super Duty name, taking on any game plan thrown at it! Our Lariat trim Super Cab with a Pro Comp 6" lift kit on 20" Fuel Rims with 38/13.5/20s, includes seating for five, running boards for easy entrance, a sliding rear window for a little breeze, gorgeous wood grain trim, leather seats, a leather wrapped steering wheel with fingertip controls, Pioneer Premium Sound, and automatic climate control to keep everyone comfy. Safety features for the F-250 include ABS, airbags, and 4-wheel disc brakes. Check out the equipment list and photos! This work truck is simply a nice mix of necessities and conveniences.